With a name conjuring up the image of the famous, idyllic Italian coastline, Amalfi is (unsurprisingly) inspired and encouraged by the world, its people and its cultures. Now, you can set the mood with everything from vases to lighting, and make your home beautifully idyllic, too. 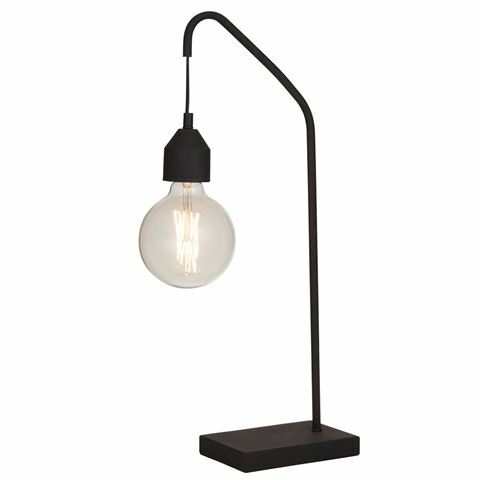 Add some impact to your office, hallway or even living room, with the Floyd Table Lamp. With its industrial wrought iron-look finish, it’s also given retro appeal with a vintage filament globe, which provides atmospheric light once the sun goes down. Made from metal with a wrought iron-look finish. Supplied vintage filament globe provides a warm glow at night. On-off switch located along power cord. Dimensions: 18cm (w) x 58cm (h).